It’s time the sport took a hard look at planting its “flag pole” in the growing streaming space. This past week I watched an NFL game on my Apple TV. I streamed a couple of hockey games on my laptop, listened to an on-demand show about betting golf, and watched an online episode or two of NBC’s Manifest because someone on Twitter told me it was worth watching. I think I viewed a grand total of zero hours of over the air television. It appears I am not alone: Traditional television viewing has been decreasing for years. So much, that the 18 to 24 demographic barely watches television at all. It seems everyone is, or will be, streaming. 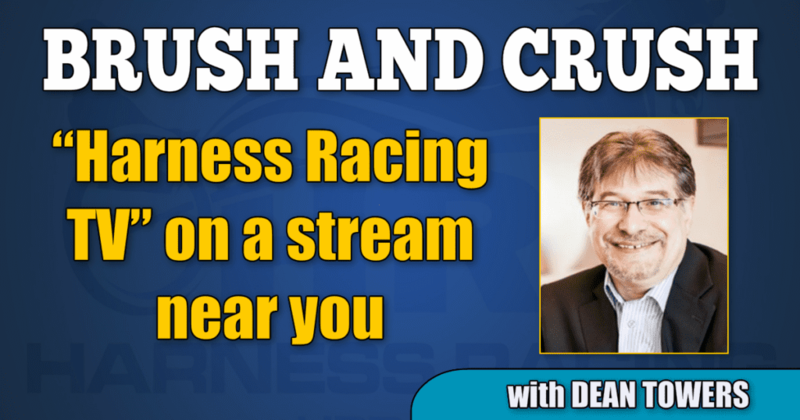 Racing has long had an online streaming presence for its bread and butter – wagering — but one company has taken it a step further. In 2015, when Horse Racing TV (HRTV) was sold and merged with TVG, the Stronach Group created “XBTV”, an online live and on-demand service, broadcast in hi-definition. The network provides users with insider interviews, handicapping tips, and previews of the day or weekend’s racing. The biggest hit, arguably, is their coverage of workouts live in crisp HD, especially before big race days. XBTV possesses serious on-air talent like Jeff Siegel and Zoe Cadman, and you only have to tune in for a few moments to learn their production team is impressive. The set, graphics and overall look are all top-notch, and the information is useful. “Producing limited content that is well received versus a large volume of content that is sub-quality” is a focus, noted Zimmerman, and that fits well into successful modern streaming models. As does the fact that XBTV is linked with Xpressbet, the Stronach Group’s wagering arm. Streaming services can’t just be there for qualitative reasons; they have to be used to monetize. Meanwhile, over in harness racing, the sport has not taken steps to plant its “flag pole” in the streaming space in any measurable way. The online content in this sport, although quite good, is fractious and sporadic, with no real direction. I don’t think anyone is particularly to blame for this. Harness racing is a small sport, and with fewer eyeballs it’s tough to make a case for hard-dollar investment; the whole monetization thing again. However, I believe it makes good business sense for this sport to take a ride down the XBTV road. The sport clearly has the content. Races are contested almost around the clock, seven days a week. Although the handle at many tracks is small (with few viewers) there are stories each day like a carryover, mandatory payout or guaranteed pool to share. Almost every weekend is packed with stakes races; so many that I often miss some. Something is always happening in the sport, and those choosing to wager need information, and a push. Further, the sport already has the infrastructure to pull this off. The Woodbine TV production crew is staggeringly good, and the flagship Meadowlands team is not far behind, if at all. With both tracks broadcasting in hi-definition it would provide a ready-made home base as they produce much of the content. This is not too much unlike the NHL Network model, where most of the content is produced through Rogers Sportsnet in Canada and shared world wide. In addition, harness racing has the on-air talent. Greg Blanchard, Dave Brower, Emily Gaskin, Frank Drucker, Gabe Prewitt, and Chad Rozema are all pros. Heather Vitale is a treasure. And the scary thing — I’ve probably left off 10 others. With leadership, focused partnership and a few dollars I suspect an XBTV for harness racing is not pie in the sky. With everyone working together, an infrastructure is laid where the production of big events like the Breeders Crown and others would get better and better. Clearly with any type of viewership base (especially from those wagering), carryovers and the like can be disseminated to the betting public, which should result in higher handles. If the service is paired with a harness racing focused advance deposit wagering outlet (long overdue, in my view), it can grow the sport that way. The Stronach Group’s XBTV was and is a pretty good idea. Producing great content while simultaneously holding costs down, I suspect it could be a long-term winner for the thoroughbred giant. I think harness racing would be smart to follow their road map.